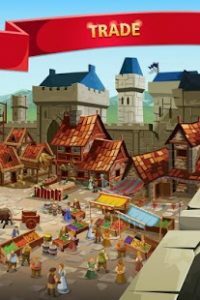 Empire Four Kingdoms : Fight epic battles, win glorious victories, and form powerful alliances with thousands of other players on a giant interactive world map. As king and lord, you have been called upon to build a mighty fortress and control the fate of your kingdom. Armies from the neighboring realms lay siege to the Great Empire – it’s time for the brave warriors of the land to draw their swords and defend their lands. The Kingdom’s League has arrived! Castle lords now have the opportunity to earn valuable rewards by competing with their rivals, collecting Kingdom titles and climbing the league rankings. Check the forum to learn more about our latest updates!